Hi, I need to replace the battery in a dead MR1 but info is scarce. While not a low cost solution, my company makes a very, very long running series of portable deck powering solutions. So, if your deck still has a still working, but old and now way too low capacity internal rechargeable battery, THEN always using an external battery capable of both internal battery recharging while also fully running the deck is an option. Then no need to replace the internal battery, just always use a reliable external power source having large capacity. I think the "official" answer is to contact Korg to replace the battery. I have opened up my MR-1 and if I remember correctly, the battery is plugged in there pretty securely. I'm not sure if it's glued or something, but because it didn't come out with a firm tug, I didn't want to chance it. Having technical service replace it will probably be costly. If space is not a problem, you can get away with an external battery pack. Korg was supplying a battery pack for free for a while there, but you can get one for about $14 I think. It simply takes 4 AA batteries and it is pretty tiny. If you want something that lasts longer and is rechargeable, you can get a USB LiIon battery, but you have to make sure the one you get can supply 5V, and 1 A (most ipod packs supply around 500 mA). (The company is in China, and it takes about 1-2 wk for shipment, but they are reliable and CHEAP!). If the internal battery has failed (as you describe) it is a bad idea to try and force charge it by feeding the unit external power. That assumes that the power connector also feeds the charging circuit and that it cannot be disabled (as it does on the microtrack - I don't know if that is the case on the mr1). First, you would lose a lot of your external power driving the charging circuit. Second, you risk a lithium battery malfunction that could be dramatic. Ideally, send it to Korg for service. Or at least disconnect the internal battery. On March 26, 2009, I sent my MR-1 recorder in to have the internal lithium battery replaced. On May 12, 2009, the service center completed the battery replacement. Korg Parts was unable to ship the replacement battery to the service center for installation into the MR-1 recorder any sooner. It cost $68.95 for the internal lithium battery only (I did not include the labor cost to replace the battery). There was a sudden diminishing of the charge capacity of my MR-1 after the PC board failed. I would avoid using the external battery pack (containing 4 AA batteries) with this recorder as much as possible. If the internal battery runs down completely during extended operation with the external battery pack, the MR-1 stops recording (thus, causing you to lose the file being recorded) and the MR-1 then remains in a state of suspended operation. This remaining on by the MR-1 could cause damage to its PC board (that is, failure by your PC to recognize your MR-1 through the USB) and dimished life of MR-1's internal lithium battery (the recorder becomes noticibly warm to the touch during this state of suspended operation). It is my opinion that that is what happened to my MR-1 recorder, that is, use of the external battery pack prevented the MR-1 from shutting down properly after the internal battery lost its charge (for example, proper shut down would be to not lose the recorded file and to protect both the PC board and internal battery from damage). Most times the internal lithium battery has not failed, but has lost enough capacity to not be useful for even 1 hour or less recording time. So recharging/runtime both lasts for shorter time, and connecting up an external portable battery to run the deck and keep the internal battery at whatever is possible charge is not a liability in this case. I have at times detractors of my external battery solutions with way too often post self-serving comments bogging down a discussion thread. I'm not sure if your post was directed at me or at Freelunch -- the grammar is a bit hard to follow. I think the bottom line from my and Freelunch's posts was to contact Korg (either an authorized dealer or the company directly) to replace the battery. I believe this is the safest, yet most costly solution. I am baffled as to how these posts are self-serving because the only party that would benefit from our advice is Korg. I suggested other external solutions in addition to your battery sled, and my intent was to be helpful in highlighting relatively low cost solutions to the OP's problem in case the service quote from Korg would be too expensive. I thought Freelunch's post was very informative and will make me think twice about plugging in an external source if I know that the battery has failed. I had not realized the unit could be damaged in this situation. Guy, I have nothing but respect for your products and the information you provide from your testing. I have some recordings in my collection made with your mics/preamp that are stunning. Also, I constantly referred to your reviews when shopping for the MR-1 and with the R-09/09HR. Personally, I feel that your products are priced for a different market than the hobbyist concert taper, especially when there are high value options available for mics, preamps, and external power, however, I do not feel it is my place to tell you how to set your price points. You have obviously found a market and can support your business with it. I wish you best of luck on your continued success in producing these high quality products, and I also hope that you will continue providing your opinions and reviews to the community. Sorry for not being more clear, and NO direct comment on any of the helpful posts in this thread. However, invitation to comment in the Retail Section was prompted by another current TS thread rave(s) about my sleds posting. You need a CR2032 lithium battery. Take the top of the rack off and you will see the battery on the inside." out of the MR1 when you open it. It's a hard-wired rectangular unit rated 3.7V 2000mAH whereas the CR2032 is circular and 3V. because they don't know what they're doing. A quick search reveals a korg m1r product that takes a cr2032. Isnt a cr2032 just a watch battery...? Its the same thing that keeps your clock and bios settings on you motherboard...Its not the battery that powers the unit. Yes, the CR2032 is a watch battery. I've attached a photo of the MR1 breakdown. The battery on the right is definitely not a CR2032. Suggest sending your photo to Korg tech service getting the correct battery info this time. Good to see at least the original battery made in Japan where QA is usually better than some other places making original/after market lithiums. My battery holds its charge for about an hour now. But I still love this recorder. Would love to be able to just pop it open and put in a new battery. An hour is enough time to get get your tape started, but then you have to remember to plug it in before the end of the set. But like has been mentioned here: if the battery holds a charge for an hour or so, that's enough to keep your recorder working for a while. But EVENTUALLY it will be like my @#$%ing laptop and as soon as I unplug it, it will say "battery empty: shut down" so replacing that internal is pretty important. Looks like the MR-1 is now out of business. Any news on that battery from Korg, or did we start trying to replace the batteries and they decided to pull the unit instead of that. Because now I want to buy a handful of $69 batteries! THAT'S all it took for me to like the thing? The mr2 is only $700. Future-proof! I still want to know how to get the battery replaced on one of these. There is, as far as I can tell, no way to find out from Korg. Anyone else tried to find this info? and the frame for the battery is 53 x 38 x 10 mm. Whether the battery really works in the MR-1 I don't know, however. I have not tried it, because the battery of my MR-1 is still OK.
Well, the real fun all happens when you try to contact Korg. Yeah, I have an MR-1, and most folks rig up a battery pack that will feed it the equivilent of USB power to the power jack and keep on using it with external power. Since the internal battery is a real bear to change, it's pay Korg, or go the external route. I don't know on which sub-site the battery info was, maybe this can jog your memory? hmm...did anyone made a progress to replace the internal battery of the MR-1. Mine is useless Meanwhile. When I´m trying to charge it It need to be USB connected but it doesn´t charge anyway. I'm currently out of $, so I won't be doing this, but I sure do love this recorder. My advice is simple: Guitar Center is the only local store that seems to have Korg connections. Since you can't contact Korg directly, get GC to do it for you. MAKE someone call up Korg and try to find someone who will replace the battery. Its supposed to cost $80. IF you can find anyone who will do it, try to get as many of the batteries as possible before they are gone. I'll bet that here in this thread alone you would find a marketplace for 100 of them. The problem is...... Shipping those batteries, and devices with those batteries, is restricted. They are often prohibited. Even if allowed, it is only with a significant additional charge. I was going to offer to replace a bunch of microtrack batteries for folks, but then I got to thinking.. What if one blows up? Ultimately, I don't want that liability. But: when I opened the frame of the MR-1 internal battery in order to see where the cable goes, I found that there is some extra electronics included in the battery, and I don't know its purpose. So I decided to stop at that point. What are the codes on the chips? Could be the charging circuit (although I would think more leads would be required to provide status back to the DSP - i.e. update the meters and charging status - I guess the DSP could guess at this using a current and voltage sense circuit). LiPoly cells need to be managed a bit to keep stable with one another so it could be a balancing circuit as well. But: when I opened the frame of the MR-1 internal battery in order to see where the cable goes, I found that there is some extra electronics included in the battery, and I don't know its purpose. That's the protection circuit, but I guess it serves a purpose for distributing charge too. Good idea by H2O to keep the PCB and just replace the individual cells. The parts are damn cheap, retail price in China for one cell is RMB16 (less than $3). The best bet would probably be to hit up batteryspace.com (or any of the other retailers selling PL603450) , e-mail them this thread with pictures of the guts, and ask if they could reverse-engineer this battery. They might decide to sell it in their web shop or do a custom group order for TS.com. Anybody with contacts at Batteryspace??? I love the MR-1 - It is the only real handheld recorder with balanced inputs (microtrack is a toy). It supports up to 24/192 and all the Sample rates in between that and 16/44.1 in addition to DSD. I do have an M10 as well. Good point! The internal battery would be to much of a PIA for me. - run wires that went to the old battery outside to a pair of 18650's mounted on the back? 2 of them in parallel would be 5200mah, so it would last a long time. Using the built in charging circuit it would charge slowly, taking about 2.5x as long, but I can live with that. I don't think it would overwork the charging circuit, it would just do what it could, right? I too like the MR1 for balanced inputs, and a hard drive. What else is there? R4 and 722? R4 is kinda big, and 722 is kinda expensive. The microtrack will not work, even on external power, once the battery dies. I had hoped it would. I also wondered it if would work on external power once the battery was removed/snipped. It does not. Hopefully the mr1 behaves differently. I'm not convinced the balanced is worth much. After the microtrack, I wonder whether it is even balanced. 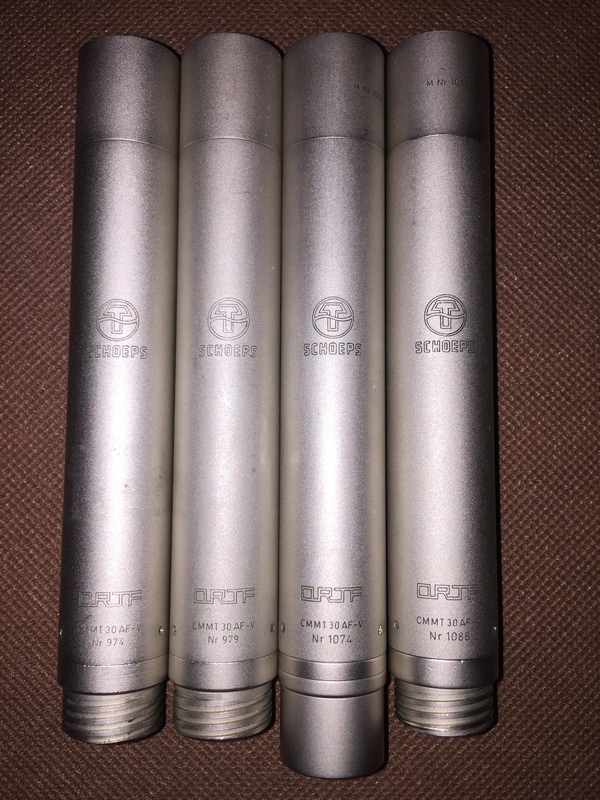 Some mics "fake" balance. Korg probably didn't fake it, but I am less trusting than I once was. I'm not quite talking about "removing" the battery from the circuit. I'm talking about replacing it with another larger one which happens to be mounted outside. I'm wondering if increasing storage by a factor of 2.5x effects the circuit in strange ways. I wish I was someone who could even try it. I opened up the one I have that has a batter that holds a charge for 12 mins today and had a good look. It is one solid piece of equipment, that's for sure. Yup the tape over the switches on the top was a great idea! The battery and hard drive are easily removable. Once I get some money and time I think I will look into H2O's idea about replacing the individual cells. If anyone goes any further, please post! We searched for this cell on the web, and it seems that the cell is used in many different applications. However, it looks like it is only possible to order the cells in packs of at least several hundred pieces. So, I think they are not meant for end users. Another important point the engineer mentioned is that when replacing the two cells by new ones, it is very important that the replacement cells are a "matched pair" (you probably know this principle from matched Mics for stereo recording). We couldn't find out much on the web on these - maybe someone else is more lucky. as a replacement battery in the MR-1. The egineer encouraged me to try to replace the two battery cells and put instead the single cell form the battery NP-120 - on my own risk, of course. So we took the battery apart, and he mounted the new single cell on where the old two cells where mounted (img 3). As the old cells where mounted directly in parallel onto the electronics, mounting a single cell instead should be possible. After the egineer had soldered the new cell onto the electronics of the old MR-1 battery, we packed the new cell back into its original case, and put that into the frame of the old cell (img 4, had to cut the original case in length a little). Then I mounted the battery into the MR-1 (img 5) and tried it out. It worked. A test recording with the fully charged new internal battery gave me a recording time of 1h25Min. With the old battery I only had 3 Minutes! So up to now the replacement seems successful. I played in a concert last week and took a recording - worked, and another rehearsal session during the week - worked. Up to now I'm quite happy with the replacement. But I should also say that I never would have tried this without an experienced person. Well done! Thanks for documenting your effort. The battery is not a new one. I purchased it already about a year ago, and maybe it wasn't completely new at that time either. However, also when I purchased the MR-1 the battery life was not much more than about 1h 30Min, either, so from that point of view, the replacement battery is not too bad, I think. Of course, you can probably still find some better replacement cells. I just took these ones, because I already had them. The battery was not that expensive, about 15 Euro, and the engineer did me a favour' (and I took the full responsibility onto my own shoulders). The whole work took maybe 1-2 hours, plus the time for the internet search (didn't check the watch). i've cut the cables of the original batt. and soldered on the ends a quite normal 5$ fp120 battery. the machine runs now since more than half a year in every day work and has internal batt. runtime of ca. 75 min. (looks like these batt.s have ca. 1000ma); i think the platines in those batteries are the usual 'bms' (battery management system) needed in most li ions. batt. problem now is done, it's easy to solder. protect the open machine against dust and fizzly hot material. another: my two mr1 both are becoming a bit warm running on external batt. pack usb in or ac in, i think after ca. 60 minutes. i'm doing 15-30 minute takes. so it's no problem, it's time enough to load and to cool down between the takes. worth questioning for same experience. first Mr1 runs with hd, second with the mtron 32gb, both without probs till the medium is full. yes, the balanced mono ins are outstanding, pcm1804 in such a small device, straight system-software too, feel no need for exchange. the warming up phenomen leads to running MR1s without bag. one has original Korg battery (now after years runtime 40 mins, next ripe for exchange), second the fp120 replacement, both same warming up. here as newcomer i thank Ted for spending and driving best Korg discours. Do you record in DSD format onto the MTRON SSD without any problems? Can you send a link to the battery -- do you mean the fuji np120? I did this mod a while back and have been running it, although lately, I haven't been taking it out in the field. No problems recording DSD onto the MTRON SSD. I've recorded concerts about 2 hr long. I usually reformat the drive before using it. It really doesn't give you any benefit going with the SSD, aside from the "no moving parts" bragging rights. The effect on battery life is minimal. If you are looking to increase storage, an HDD would give you more value. If you are intent on going the SSD route, I'm not sure if MTRON makes the SSD's anymore. If you go with another manufacturer, make sure you choose an SSD with SLC flash media. In the discussion in that thread, we surmised that MLC media doesn't seem to allow DSD recording. Thanks a lot for this! I have not really decided yet to replace the original HD, but at some stage I think I will, then it is good to have some informations at hand. But to come back to the topic of this thread: My battery replacement (see above) still works fine, but I usally make use of external batteries for recordings longer than 1hr. yes i did pictures, but had no succes in uploading here (needing help). soldering is easy. cut the cables off near the batt., do two big soldering drops on the fp120 + and - contacts in good distance from open mr1 (it's a quite normal no name fp120 for fuji and others around 5$). measure the two cables from mr1 batt to define the + - poles. the fp120 has 3 contacts. ignore the middle position. the black mr1 cable goes to the outside contact of the fp120, the red mr1 cable to the third fp120 contact positioned not direct on the other outside. so it's mine (measure it yourself). fill the empty space in the mr1 housing with two folded pieces of allround kitchen cleaning paper to avoid electric contact and batt. rumbling in the moved machine. the fp120 has like other camera batts an inbuilt power management system defining loading and working limits. the mr1 loads it and works it down after that system. think You can take every other 3,7v managed batt, it's a question of size. some words to the mtron. i think, Ted, its good running with mr1 is (YOUR) great observation. one of mine mr1 hitachi hds did writing tickle noisy hearable in a circle of 2m around the mics. i need essentially an organic silence in the recording and the monitoring haedphones. trickle trickle, Korg didn't select the hds. in one is a quiet hd, other plays with fingernails on the desk. another single bought exchangement zip hitachi sounded above 6 khz like a small intriguing bagpipe, and the zip hds are going out like the zip mlrs, so the price for mine (used) mtron 32gb mlr went down year ago to 42 €. and the ssd works nearly elegant. starts and shuts tree times faster, copies fastest. gives a better feeling in hands, especially in the field. runs with all formats till it's full, mtron is more long time reliable (if for 100 years i hope to experience it). in long lasting field work i wrote it full. easy rule: never delete tracks from portable devices, to risk no fragmentation. when it's necessary, format it. every morning formating comes from older times small media capacities and from craftsmen religion. a newly formated disk is not "empty" like an unexposed film. who can show us a newer small sized device with pro ad conversion (pcm is excellent too on mr1) and balanced line ins, yes, remember: two balanced mono 3,5mm line ins, two mono with choosable 3v plugin power feeding p.e. two mono dpas for who likes it minimized?? such an extreme solution today? who did it before? remaining - encore - mr1 batt desaster. and the zip hds are going out like the zip mlrs, so the price for mine (used) mtron 32gb mlr went down year ago to 42 €. one year ago i saw 5 or more mtrons used around 40, 50 €. mine was 42. possibly korg users now are the last zip slc users. i don't think ssd speed is in question. in dslr cameras cheap, slow and normal 2, 4, 6 class cf or sd cards are writing 6, 7, 8, 10 times faster 1080p streams, 350 mb per minute. a slc mtron could write a monstrous uncompressed 4k video stream. mr1 writes eight minute dsd takes of 340 mb. possibly the samsung is a mlc? Ted described the mlc problem. it's a case of compatibilty, will say: not of speed. try the another kind of zip cable, termination is different, not even the mtron slc uses the korg zip cable. zip was a short living connection, ripened to a half standard. we're lucky to find running slc format thx Ted. the korg engineer, happy to get a hitachi to write, hasn't thought about changing it out later. zip hd and internal li-ion batt was 2005-06 a best and expensif solution. nobody would have designed such an ad conversion in a small minimalistic device without the nearly idealistic dsd ambition. myself heretically nowadays turned the korgs back to more real 24/48 pcm, doubting other people around me will use audiogate today or in the next aeon to recognize unknown file formats. burr brown pcm1804 does an excellent pcm wav job. in audiogate nothing better could be implemented. audio programmers correct me. what we can get from minimizing techniques like the nice little korg machines is a more near awareness and understanding of our own voices and their for us mostly unknown interferences. I tried to replace the KORG original internal battery with NP-120 batteries but can not achieve more than 30 minute recording time after a full charge. the following is the how the new battery is connected to the battery controller. The connecting cables are soldered to the battery and the controller. With this mod I have achieved only 30 min. recording time. I used a no bland NP-120. I decided to test other NP-120 batteries I bought for the GNS NAVI GPS mouse. I put solder balls at the ends of the cables from the battery controller and fixed them on the + and - contact surfaces of the battery with addhisive tapes. With this three year old battery, which I did not used in the past, I only achieved 20 minute battery life after 7 hour full charge, ie automaic stopping of charging the battery with 3 bars on the battery icon. Strang thing is that the battery voltage measures at 3.98-3.99V after the MR-1 stop recording with no bar in the battery icon. I charged these batteries in the GPS mouse, connecting it to a USB port on my PC. After 4-5 hours the voltage was 4.2V. I put the charged battery in the MR-1 but the MR-1 did not start. Another problem: After taking the MR-1 apart, I found a very thin copper strip on the floor. It is shown on some of the photos in this thread and alos in the Chinese website showing how to change the HD to SSD. It say one end should touch a silber sheet on the bottom case but does no say about the other end. After googling I have encountered a description " a floating copper strip for grounding." Can somebody show where the other end should touch or should not? I would appreciate it very much for any imput you could make for solving this problem. Place that would let me order one. I paid them, now let's see if korg will actually send them the part. Just got the invoice for $6.99 and they should ship today. I guess I'll have to resurrect some threads soon. Looks like the batteries are definitely not exactly the same as the originals, but appear to be the same size. Looks like a weekend of taking things apart. Funny, I registered my mr1, followed all the rules, replied to the korg guy when he entered the forum, but they were just never going to replace those batteries or ever, no matter what they said. Wouldn't it be easier to use an external battery pack? Oh I do. But the battery in my best one only holds a 7 minute charge. And you want it to at least have an hour or so. I just got don reading a million posts on the subject and it's funny. I hadn't even thought of replacing the hard drive, but that's what was on everyone's mind. A few days before I get to deal with this. I'll need a USB > MR1 battery jack for this, anyone have suggestions or tips about this? I'd like the thinnest cable I can find. even with korg MR1 problems is new old stock still in the box worth $350.00 or is there too much trouble with box? I have just finished replacing the batteries in 2 of my MR1s, it was so easy that I can't believe it took me so long to do it! I think my romance with the ocmR44 and its low noise floor and 4 channels was the problem. But I had a low-pro show that required something small and so I got these going and I can't believe how much I love them. Carrying 2 R44s around is HEAVY, but 4 stereo channels that sync up is pretty great. Now the question I'm wondering is, has technology gotten us far enough that I could get the cells replaced in the 500520002900 lithium battery I removed instead of buying another 500520002900 as a special order for $103 plus shipping if it even exists? After an overnight charge, the new (3-year-old) batteries I installed held a decent charge for over an hour (at least) but I didn't test them full-to-empty. I used the 4 AA battery pack that Korg sold way back after the internal battery became its Achilles Heel, with some older Eneloop batteries in it and was able to get 3.5 hours of recording DSDIFF time as well as an afternoon of playback the next day. Not too bad, but I'd really like to be able to get some fresh lithium battery action inside that internal battery pack! Well, I'm wrapping up the summer taping using two R44s again. Plus some whacky stuff to use 2 digital preamps, and I have to point out that the Achilles Heel of the R44 is the double volume knob that adjusts only in increments of 6 db. The korg MR1's individual inputs are fantastic and the unit is so light! I really think all the fuss about putting in a bigger hard drive was a mistake and it's putting in a better battery that we should have been looking into. Has anyone had any luck finding a battery store that refurbishes lithium batteries? Can that even be done? How long should lithium batteries last? I use two MR1s since 2010 sooften I'm too lazy for equipment, and did meantime loads of takes after the mtron ssd mod (runs totally quiet and reliable) and after a simply exchange of batteries. batteries for me aren't that problem of the machine, using everytime external solutions, mostly a 4x18650 2A powerbank into the dc in. lasts endless, in 7 years never reached to empty it on a workers day. For intern rugged solutions the space is too narrow. Look to fix together reliably the MR1 and the powerbank, may be with gaffa. Till today the MR1 in terms of a/d conversion seems finest small machine under the Zax and Sax class. And two 3,5mm jacks balanced mono line ins are very delicate and unique, though the small machine isn't made to stay rugged outdoors in sun, rain and snow. I confered MR1 takes sometimes with a good studio converter and can say, it's hearable quality going 1bit with later pc conversion to pcm wav is smooth enough and useable. The machine was badmouthed some years ago with irrelevant arguments may be to save the concurrencies courage. An important weak point and price minimizer is the smallish cursor wheel, made for clean and tender ladies thumbs. From time to time will need -- no, I'll conceal. Think the MR1 will give future years fine takes in commodius and lazy situations, if good preamps are nearby. Small machines with professional preamps now run the sound recording way. MR1 with SD 302 frontend doubles the weight of a SD Mixpre3. In 2010 it was a challenge, nowadays perfectly well responded, shurely not a last step minimizing size of great sound quality. Only the physical need for not less than 1/2 inch microphone capsules and xlr ins will stop that. I still love my mr1 and its my main mic rig. mtron ssd mod I will look into . Well thanks for keeping this thread going! What I'm looking for now is a clean preamp to the dpa4021 mics with their giant XLR connectors powered at p48 and into the MR1. Eventually an external battery will come along that lets me plug in all 4 MR1 units and get the 2.4amps out from each, ideally it would be about the size of a DVD battery. which gets me only one 5v 2a output, but it does the job pretty well. oh, look! 2 of these might do the trick! Page created in 0.646 seconds with 92 queries.